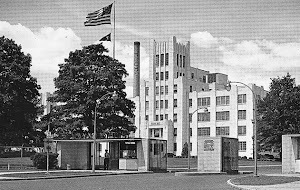 Legendary Locals: Nutley Notables: What is this notable Nutley-ites project about? 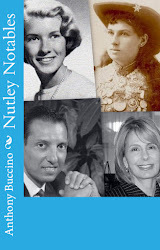 Local author Anthony Buccino is coordinating a Nutley Historical Society project on a book about notable Nutley-ites. The new imprint celebrates people who have made a memorable impact on their community throughout its history. Individuals featured in the books will run the gamut from politicians to high school coaches and athletes; from notorious personalities to beloved entertainers. Their images and stories will document the unique contributions residents have made that shape the community today and allow people to create more personal connections to their community. We'll also include the pioneering citizens who built and shaped the community. We are asking groups and individuals to suggest candidates for inclusion in this volume. Perhaps group founders or other locals come to mind? We're quite sure that Annie Oakley and Martha Stewart are a given for inclusion, but we need your help to identify additional candidates. Please forward your suggestions along with biographical information and an accompanying photo of the candidates. 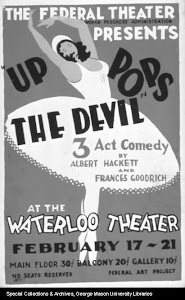 Also, please feel free to suggest other Nutley-ites you would want to see included in this collection. Perhaps a store owner who's been in the same location for 40 years or several generations? While there is no guarantee which candidates will be selected, we do look forward to your suggestions.